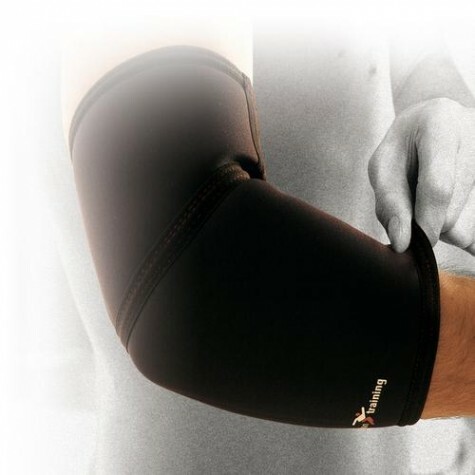 New Precision Training Neoprene Sports Elbow Support Injuries Support. For minor elbow injuries or similar discomfortsaround the elbow joint. Material 65% neoprene,20% nylon,10% polyester, 5% latex.